Hi there! 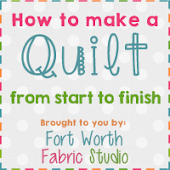 I have a quick and easy project to share with you today! I am so ready for Spring!! We have been having the best weather here and I decided I needed a "springy" kitchen topper for my counter to get my home ready for Spring! 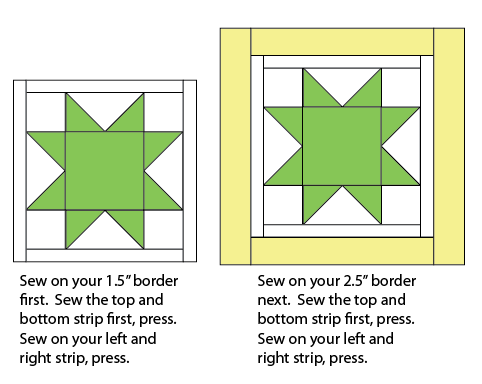 I decided to make a simple star block and add some borders! Super easy, right?! 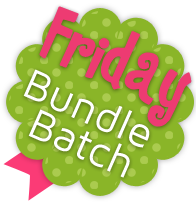 Now you are ready to baste, quilt and bind! I was in a bit of a hurry and wanted to make this pretty quick - so I decided the no binding method! Here are the directions for this method if you'd like to make your topper like mine. 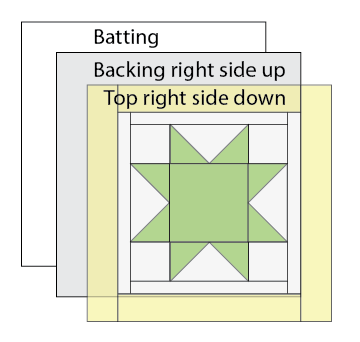 Layer your batting first, then your backing right side up and your top right side down. Once you have all the layers and lined up - you will pin ALL the way around. 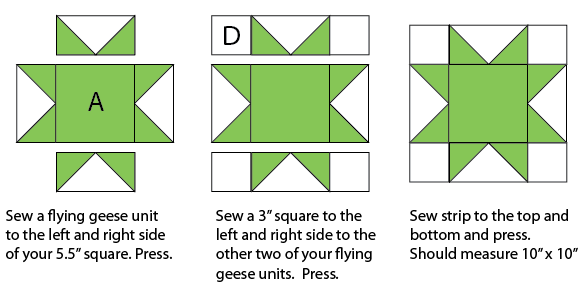 This is very important - you don't want your fabrics shifting when you sew them together! If you have a walking foot - this is a great foot to use when sewing your layers together. 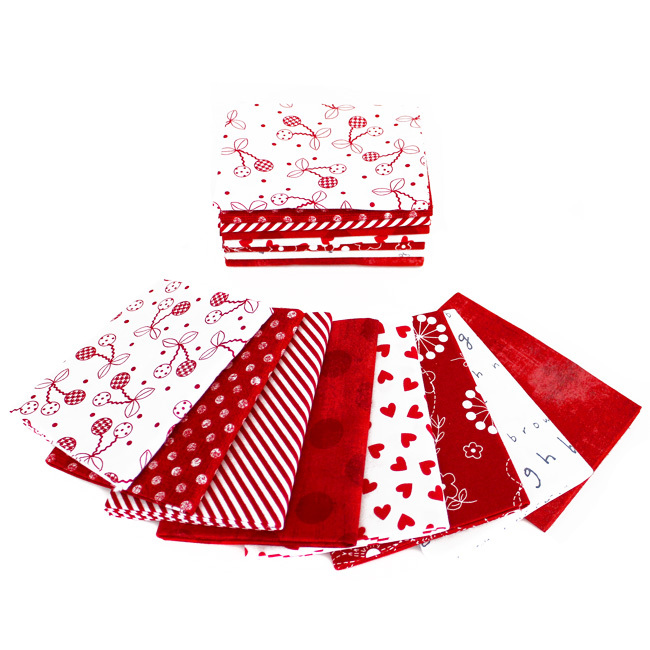 Once you have pinned, you will sew all the way around using 3/8" seam allowance - leave about a 3-5" opening. I like to use a larger seam allowance just incase my fabrics do shift a little - I am sure to catch all three layers when sewing them together. 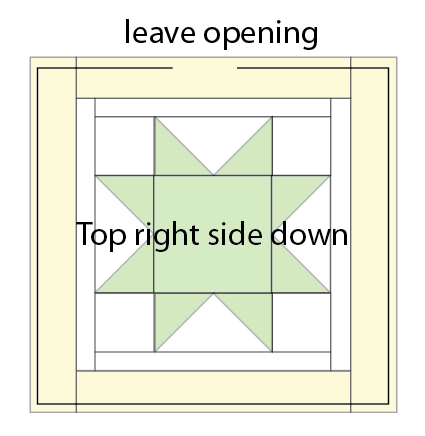 Once you have sewn around your topper, you will use the opening to turn it right side out. Once you do that press the opening shut and sew around the entire topper using about 1/8" seam allowance. 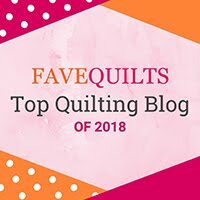 Once you do that, you can quilt it as well - you can simply stitch in the ditch if you don't want any noticeable quilting - or you could do some free motion quilting if you want some denser quilting! I love this topper! I need a new spring topper!